Remember those fantastic students I like to brag about? Here they are, in all their glory. 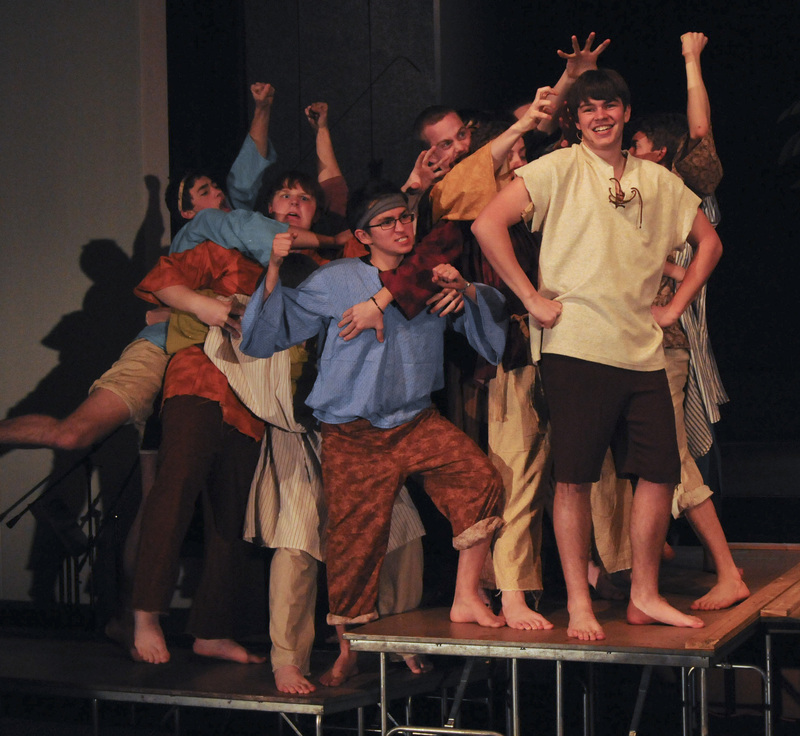 This was from a recent performance of Joseph and the Amazing Technicolor Dreamcoat. In my opinion (which is only slight biased), they are the most talented group of students imaginable, so the performance was a smashing success. The choir director at our school is beyond gifted, taming the rowdy bunch of high school boys into a flock of singing angels. For proof of this statement, I invite you to watch this video. The boys are currently working on a rendition of Toto’s “Africa,” and when I hear 80’s pop songs being sung by these perfectly harmonized voices, I will indeed be happy. As I drove home from the last performance, welling over with love for my students and my school, I cried a little. This might sound dramatic, but I knew then that the week after the last performance, I would be signing a contract to start a graduate program at the University of Maryland and I would be leaving the kids who make my job a joy everyday. After a year of indecision, stress, and applications, I have decided to move to the DC area to be near to my boyfriend and start a MA program in French Literature at UM. I finally had the courage to tell my students 2 weeks ago, and while some presented all the apathy of typical high school students, some seemed as upset as I. I know that they will probably forget very quickly next year, but for now their sadness is some affirmation that we have both relished this year together. This entry was posted in Uncategorized and tagged DC, teaching. Bookmark the permalink.